Funny Pic: What Is Going On Here? » NEWS » Funny Pic: What Is Going On Here? 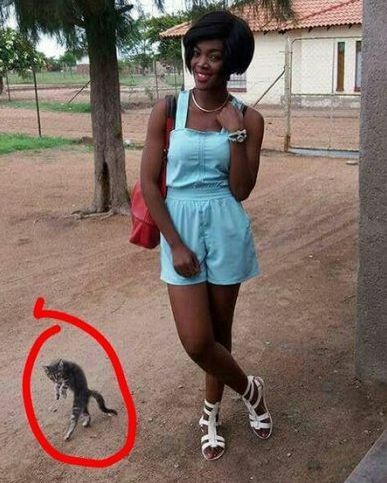 Is it the cat that's copying the lady or the lady is the one copying cat? Serious posing contest. Lolz! Title : Funny Pic: What Is Going On Here? Description : Is it the cat that's copying the lady or the lady is the one copying cat? Serious posing contest. Lolz!